LivingLovingLauderdale – There is no wrong way to do it! Disgrace at a Graceless Preparatory Institution: A Warning to Parents/Educators. via Disgrace at a Graceless Preparatory Institution: A Warning to Parents/Educators. Written by Samantha L. Cooper, M.E.d., M.S.Ed. Christian preparatory institution in downtown Fort Lauderdale. Let’s just say it is a disadvantage and it is a disgrace at this graceless preparatory institution. Parents and teachers should be aware that all private institutions are not created equal or run to the best standards. Many of the educational resources and services are being denied due to lack of knowledge of their existence. Parents need to do their research to ensure their child’s special needs are being met. Students may avoid state testing yet they are not getting the education they need due to lack of monitoring and understanding by the administration. In institutions like these, many educators are pulling resources from everywhere to fill in the empty gaps that the institution doesn’t know how to provide. In institutions as this, the administration is often not aware of what’s needed to run a successful school. The truth is that at some institutions their mission statement is the exact opposite of what they produce, and it is further from the truth. A less than scholarly institution operates within a culture of fear, bias and within a strong lack of professionalism. The teacher culture of some institutions should be student goals. A scholarly institution allows for teacher planning and providing resources for professional development. A less than scholarly institution has no synergy and has more administration than educators due to negative retention results. A less than scholarly institution doesn’t respect staff, policies and is reflected in their teacher retention record. Some would suggest that business-minded individuals lack the compassion that is needed to see various gray areas as they only see the bottom line or black and white. Profit should not be the mean, the students are the mean. The business of education can be successful when there is administration onboard that have education experience. Parents/Teacher’s need to avoid the following institutions that have the following conditions. The teachers work 40 hours a week and the institution doesn’t provide them health insurance. The teachers work during lunch because the institution says they don’t have anyone to cover lunch shift. The teachers don’t get two 15-minute breaks. The teachers don’t have a planning period. The janitors very rarely clean your classroom. Parents pay for a curriculum that is not provided. No current or unused books administered. The air-condition is broken in classrooms and students are hot. Overcrowded classrooms/ students sitting on the floor. Dual teaching consists of 1 teacher and 55 students. No coverage for classes when absent. Policies are not followed, paid sick days, late checks. No money in the budget for activities and or field trips. No money in the budget for performance showcases. Students transmit a stomach virus to teachers due to no soap in bathrooms. No tissue in bathrooms on the primary level. Administration lacks an understanding of what an I.E.P. is. The Internet is not reliable. School practices don’t mirror the mission statement. Printers are broken for 6 months as administration refused to purchase toner. Planning days are aka administrative yelling days. Admin meetings are prevalent but the email after the meeting is computer courage. Students don’t regularly get Art, Music, P.E. which is important for student development. Primary level doesn’t get specials Art, music, P.E. The principle is rarely on campus. The principle phone mailbox is full and doesn’t respond to the parent’s needs. Lack of clear consistency communication between administration and teachers. volunteer at an institution prior to student enrollment to see what is going on in that institution so that they are informed. Administrators need to be aware of educational needs, respect the process and their teachers and provide basic resources so success can occur. Now that you know, get out there and go! If you thought this blog was helpful feel free to subscribe, share on social media! Teacher Tips: 10 way’s To Save Money as a Teacher. Educator’s often spend lots of undocumented funds on their classrooms and for their individual students. Some educators can tax deduct one’s purchases throughout the year while others aren’t aware or are too busy to do so. This article is a suggested list that is done in hopes to enhance one’s knowledge of extra ways one can save money throughout the year. Here are 10 ways on how to save money throughout the year as an educator. Printable Resources-Mr. Don’s Free items for Teachers k-12 https://www.mrdonn.org/freestuff.html Printer Friendly. 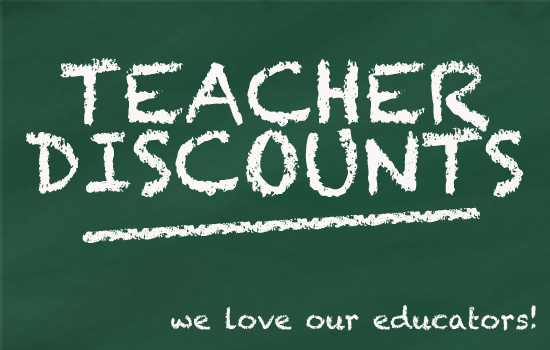 Office Depot Teacher Discount: https://www.officedepot.com/a/browse/teacher-resources/N=5+1186205/;jsessionid=0000ERmKRj8Y1VwAAg3gzgM51Br:17h4h7dc6 . Seek Donations: Reach out to online school charities Several online school charities are available to help match educator requests with potential donors. For instance, org serves K-12 schools in all 50 states. Teachers post the specific supplies they need — pens, paper and art materials; violins for a recital; microscopes for a biology class — and then donors can pick the request they’d like to assist. Seventy percent of the requests on DonorsChoose.org are successfully funded. AdoptAClassroom.org has a similar mission with a slightly different twist. It connects donors to specific classrooms, teachers or schools. Currently, over 200,000 teachers are registered. Coffee: make your own coffee and take it in a travel mug to work. Packed lunch: pa ck your lunch to save money on buying lunch out. Buy in Bulk– Utilize Costco, Sam’s Club, and all other bulk store options. Raw is the New Clean: Just Ask Raw Source Kitchen! SAMM COOPER: What inspired Raw Source Kitchen? RAW SOURCE KITCHEN: Raw Source Kitchen was inspired by Raw Source, a company that I created in 2016. Before that, everyone knew me as The Real Juice Masta on Instagram where I would post all my juice creations before I ever thought about owning a company. SAMM COOPER: Where can we purchase your products? SAMM COOPER: What’s your latest flavor or item that people love from Raw source kitchen and how much is it? What are your price points? SAMM COOPER : What should raw juice lovers leave with after tasting your juices and or watching your shows? RAW SOURCE KITCHEN: Raw Juice lovers and even those who have just been introduced to Raw Juice will leave feeling invigorated and empowered. Each Raw Juice recipe is formulated to provide a boost in nutrients that takes effect immediately. Anyone watching our educational videos will walk away with a deeper awareness of their body and how what they consume either shortens or lengthens their lifespan. SAMM COOPER: Who is your intended audience? What types of people would you say your juices are for? RAW SOURCE KITCHEN: Our juices are intended for anyone looking to live a long and active life. Our juices are for anyone who is interested in becoming more proactive about cultivating and maintaining wellness. SAMM COOPER: Why did you decide to come up with raw source and recently raw source kitchen with the world now? RAW SOURCE KITCHEN: Raw Source was my entry into the business world. At the time I knew that my juices could assist people along their life journey but I was not always sure of exactly how. The formation of Raw Source Kitchen has expanded our capabilities by carrying the load of producing products that promote wellness while Raw Source can remain focused on educating and empowering the masses in self-healing. SAMM COOPER: When is your next event? RAW SOURCE KITCHEN: Our next event is April 17, 2019 in Ft. Lauderdale Florida. Visit our page on FB or Insta for more information. SAMM COOPER: What stores are you working on getting your products in? RAW SOURCE KITCHEN: Right now our focus is building up our online store rawsourcekitchen.com. In the future we hope to feature our products in holistic clinics and centers. SAMM COOPER : How can people reach you on on social media? What forms of payment do you accept (cashapp, PayPal,venmo)? SAMM COOPER: Thanks for being a guest on living loving Lauderdale! Who Says Art Mama’s Can’t Move? SAMM COOPER: Who is the real Crystal Jaudon and how does this impact your artistic expression? SAMM COOPER: Where have you showcased and featured your bodies of work? CRYSTAL JAUDON: My work has been shown locally as part of “The Fall” at Gallery X and in “Art Mama Moves! An Art Movement” at Two&. I actually co-produced that show with Zoe Love (Two&) and Monique Everhart (Gallery X). In Atlanta, I’ve shown at MJQ Concourse and most recently, Vertical Xscape. SAMM COOPER: What’s your latest Art collection? CRYSTAL JAUDON: My most recent collection “Art Mama Moves” is a collection woman inspired pieces incorporating canvas, a 3D installation and paper structures. SAMM COOPER : What should art lovers leave with after completion of viewing your collection of work? CRYSTAL JAUDON: They should leave with a feeling for the underground, non-exploitive, internationally inspired, woman centeredness art we’ve collected to share with the local community. SAMM COOPER: Who is your intended audience? CRYSTAL JAUDON: This show is for everyone…especially those on the cutting edge. SAMM COOPER: Why did you decide to share this work with the world now? CRYSTAL JAUDON: Art Mama Moves came to me as an amorphous idea a few years ago. I had just spent more money submitting work to an art event , without any guarantee that I’d actually be chosen to show. I began to wonder if there was a way to exhibit my work without spending hundreds of dollars on submission fees. I decided to do a pop up art show at my friend’s tattoo parlor in Georgia while vacationing with my family. It was fun, liberating and I sold art. How Awesome! I decided that with a little elbow grease and a positive outlook, Art Mama Moves could be a cool platform for not just me but a lot of underground, politically driven artists. CRYSTAL JAUDON: My decision to make the movement woman centered came organically. I’ve met so many cool, women artists in South Florida who would love two show case their work but can’t necessarily spend hundreds of dollars just to submit their work. Through a networking effort of cross country proportions, the first Art Mama Moves show premiered on December 2, 2017. Thank you: Gay Pasley, Frances Salberry, Natalia Jaramillo, Billie!, Amy Grieder-McCall, Vanessa Norman, Stephanie McMillan, Virginia Erdie and Monique Everhart for being the very first Art Mamas! I am very grateful to Zoe Love who has been a tremendous supporter and hostess. CRYSTAL JAUDON: Because of her, we were able to have our show in Las Olas at her bar, Two&, which is an amazing venue. I also send an immeasurable amount of gratitude to Monique Everhart, whose show “The Fall” was an inspiration to me, introduced me to a wealth of unsung, local women artists located in Ft. Lauderdale and has been the relentless and passionate voice of the art underground. SAMM COOPER: Tell me about Art Mamma Moves Event? CRYSTAL JAUDON: Our show: Art Mama Moves: Moves and Two& Las Olas are pleased to present a group exhibition of new work by Crystal Jaudon, Monique Everhart, Vanessa Norman, Amanda Reth, Gay Pasley, Frances Salbarrey, Ali Poswal, Marcus Walters and more to be announced. Art Mama Moves will run from April 21, 2018 – May 5, 2018 with an opening on April 21, 2018 from 8pm-3 a.m. . CRYSTAL JAUDON: The exhibition will also music by Drawing Bored and a Live Painting Meet and Greet with Art Mama Artists. Art Mama Moves is an underground art movement originally based in South Florida. It is the goal of this movement to give woman centered artists a space to exhibit work. CRYSTAL JAUDON: Art Mama Moves is above all else a safe space for artists to express themselves and celebrate the strength and resilience of women who have inspired society: politically, musically, visually or simply from a heart of pure love. Join us as we celebrate women who have rocked us and society to the core. “Art Mama Moves” will run through May 5th, 2018. SAMM COOPER: Thank you so much for being a guest on Living Loving Lauderdale. Our Interview is complete but how can people continue to follow you on social media? They are persistent and welcome challenges. They like to ride hard while looking good! Instant party starter: All you need is a bike 1. A few friends with bikes 2. Some awesome MTB trails 3. Some shade 4. Chairs 5. Chips and dip 6. Cooler with well stocked beverages and let the ride happen. Knowledgeable; they are always sharing knowledge and brainstorming the prospect of the Bike N+1 theory! They know how to endure. All the Epic Rides, Grinduro’s, 4G’s, Gravelers gravel grinder, Fakawi , GROWLER and the Fakahatchee Grind rides makes them tough and shows that they can do anything they put their mind to. They dream in bike specs and often Reflect on why they RIDE. Loyal to bike bibs brand. A good fitting bib is like a forever bond. Mud and water crossings doesn’t scare them. They appreciate nature and camp when possible. They support local bike shops and rep bike gear. Mack Cycle, Alex’s, Jim’s, The bike Spot, Bicycle Generation, Rock And Road and Big Wheel Cycles. SAMM COOPER: Who is Stephanie Burch? Stephanie Burch is a 4th generation minister, cut from another cloth. She has 20+ years of experience in Business Administration and Consulting with a passion for economic development and empowering individuals who have become hopeless from life’s tribulations. She is a wife, mother and grandmother who believes that her first ministry is home. SAMM COOPER: Is this your first publication? STEPHANIE BURCH: Yes, “Unveiling Truths” is my first publication and I’m excited to share it with the world. SAMM COOPER: What should readers leave with after completion of your book? STEPHANIE BURCH: They should leave with a renewed mindset that in all things there is light on the other side of it and use their past as a mechanism to be better and not bitter. STEPHANIE BURCH: The book is for both male and female who are going through various trials or those who are currently stuck in a place within and have become complacent. STEPHANIE BURCH: As a minister and counselor I believe it is important to not only share experiences but revelations and wisdom as it is given by God. Sometimes it’s hard to see the picture when you are in the frame. SAMM COOPER: What is the motivation for the need for some of the concepts in the book? STEPHANIE BURCH: The motivation for the need is for independent growth and progress. It’s about evolving from one level of you to the next. To understand that there is more of you that meets the eye. SAMM COOPER: Do you have any upcoming book signing events coming up? STEPHANIE BURCH: Yes, I will be having my first “Unveiling Truths” Book Signing at The Healing Place, located at 9661 W Sample Road, Coral Springs Florida, 33065 on Saturday March 31st at 5:00 p.m. Refreshments will be served. It will be an evening of empowerment and fellowship. SAMM COOPER: How much is Your book and where can we purchase it? STEPHANIE BURCH: Unveiling Truths is only $17.99. You can purchase the book via $Cash APP (UnveilingTruths8– be sure to write your first & last name & email address) or available via PayPal my information is (http://paypal.me/UnveilingTruths8 simply Click the Link. Why A Thought, Can Enhance Weight-loss? Written by Samantha Cooper, M.Ed, M.S.Ed. As an educator I recently attended a skill development training seminar and while there the facilitators mentioned that to reach your students one must change one’s stagnant mindset. I realized that this can be applied to weight-loss and bodybuilding goals as well. Overall, what I took from this is the way we think can dictate our day and our success rate. I have heard this so many times, but I embraced it during that seminar. It made sense and it has proven to be completely accurate. After the Thanksgiving feast and disappointment of continuous weight gain one may realize that something must be done, or this weight cannot stay here. Surgery and or weight loss temporary shots may not be an option. It’s truly important to know what formula for your own success consist of and what your best options are. I know that in the past my formula for success is eating chicken and veggies and less rice, less dairy, less unhealthy snacks and more fat burning activities along with weekly tracking of weight and body fat. Before I start I must get my mind right. The why, the for whom and how long needs to come into a clear understanding for me physically to be on board. So, get your mind right! It all starts with how we think. Believing is what makes it work. Manifesting and acting on that belief is what gets the results. It is true that if you believe it, you can achieve it with hard work. My Journey is a work in progress and the mini results thus far are inspiring. My weight goes up and down and when it goes up it’s because I have abandoned the formula for success and have stopped physically acting on the belief that it works. So, I say to you and to my future self. Keep believing and doing what you need to do to be a better you. Because every effort has a result so make it a good one! Onward! Written by Samantha L. Cooper, M.Ed., M.S. Ed. t this blog was helpful feel free to subscribe, share on social media! Written by Samantha L. Cooper, M.Ed., M.S.Ed. 10 Reasons Why You Should Buy My Earrings. I love fun and authentic styled earrings and while avoiding a very important test I should be preparing for I had a thought that I wanted to try. We all know that you won’t truly know if you will succeed unless you actually try to achieve it. I crafted these awesome cycling earrings! They were so much fun to craft. I’m a cyclist and I always attend bike fest like cyclefest, 4g , E100, Piggy’s Revenge, Fat Tire Fest at Santos and Alifia. Many of these events have really cool bike swag and crafts. I think my crafts would be perfect there as it would be something I would buy if it wasn’t mine. The great thing about creating is that if no one buys my pieces I get to rock it! Here are 10 reasons why YOU should buy my cycling inspired bottle cap earrings. 1. They are so cute. 2. They go with your favorite pair of your best jeans. 3. You get to express you passion for cycling via your style. 4. They are a perfect stocking stuffer for your favorite cyclista . 5. There is a perfect pair for roadie,MTB, gravel and Fixie riders. 6. Buying a pair is cheaper than some bike services. 7. My earrings are lighter than your bike! 8. You get to put visual bike magic on your face. 9. It’s a perfect price point! Cha ching so get two pairs. 10. It’s my birthday gift that you get to keep! Scorpio!! Hey, I have to get back to my goals so get a pair. Share a picture of how you rock it with hashtag on instagram #sammcooperart as I would love to know! 10 Awesome Reasons W… on Why I Ride?